When discussing Balti extensions for Tibetan recently I talked a little about the use of U+0F39 TIBETAN MARK TSA -PHRU for writing shorthand contractions, and whilst I'm still in a Tibetanish mood I thought I might discuss Tibetan shorthand contractions in some more detail, especially as I have just made available a List of Tibetan Shorthand Contractions that I have garnered from various sources. 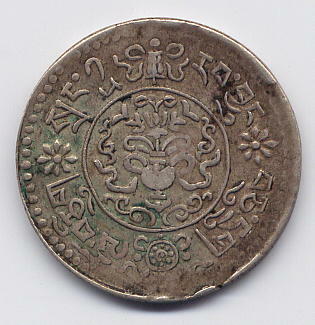 This is a Tibetan 1½ srang coin of 1937 in which the word bcu gcig བཅུ་གཅིག་ "eleven" is contracted to bcuig བཅིུག་, with the letter ca taking a 'u' vowel sign below and an 'i' vowel sign above. This is contrary to the rules of Tibetan spelling, under which a consonant can only take a single vowel sign (diphthongs are represented by putting the second vowel sign on a following letter 'a, e.g. spre'u སྤྲེའུ་ "monkey"). This is a detail from a prayer flag in which the common formula ཀི་ཀི་སྭོ་སྭོ་ལྷ་རྒྱལ་ལོ། "All Hail, Glory be to the Gods !" has been contracted to kii soo ཀིི་སོོ་ (kii swoo ཀིི་སྭོོ་ would be the expected form), with two 'i' vowel signs over the letter ka and two 'o' vowel signs over the letter sa. None of the Tibetan fonts on my system render the vowel signs correctly, either overlaying the double vowel signs on each other or rendering the second one on a dotted circle (Jomolhari renders the double 'o' correctly, but not the double 'i'). Note that the double 'o' vowel could be represented by U+0F7D TIBETAN VOWEL SIGN OO, but I prefer to restrict U+0F7D and U+0F7B TIBETAN VOWEL SIGN EE to transliterating Sanskrit au and ai respectively. Note that when tsa 'phru occurs on a stack with a head letter (e.g. rgy^o རྒྱོ༹་), it attaches to the head letter not the base consonant. I have not seen a single example of tsa 'phru attaching to a consonant that is not the top of the stack (i.e. in Unicode terms, U+0F39 never seems to attach to a subjoined letter <0F90..0FBC>). Tibetan Shorthand Abbreviations (bskungs-yig) and Limitations of the Encoding. A consonant functioning as a word-base (ming-gzhi) is allowed to take only one vowel sign according to Tibetan grammar. The Tibetan shorthand writing technique called bskungs-yig does allow one or more words to be constructed into a single, very unusual combination of consonants and vowels. This construction frequently entails the application of more than one vowel sign to a single consonant or stack, and the composition of the stacks themselves can break the rules of normal Tibetan grammar. For this reason, vowel signs do sometimes interact typographically, which accounts for their particular combining classes. 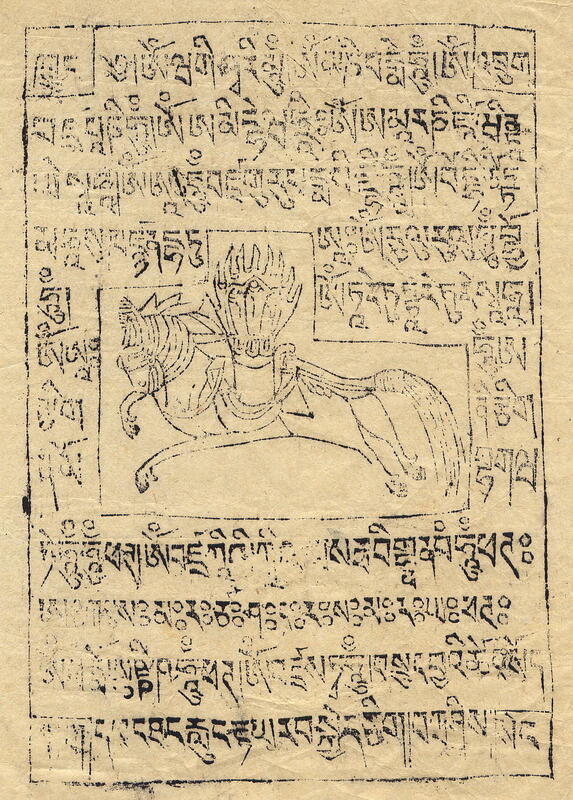 The Unicode Standard accounts for plain text compounds of Tibetan that contain at most one base consonant, any number of of subjoined consonants, followed by any number of vowel signs. 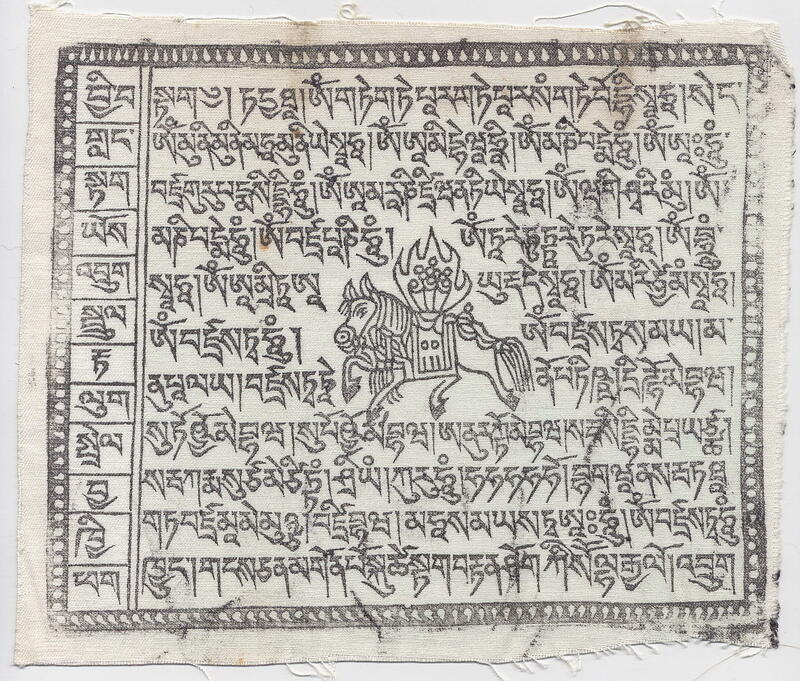 This coverage constitutes the vast majority of Tibetan text. Rarely, stacks are seen that contain more than one such consonant-vowel combination in vertical arrangement. These stacks are highly unusual and are considered beyond the scope of plain text rendering. They may be handled by higher-level mechanisms. What the standard does not say is that the "particular combining classes" cause all sorts of problems for dealing with shorthand contractions. As can be seen from the above screenshot, the normalized version renders incorrectly. With all of the Tibetan fonts on my system a dotted circle is inserted into the glyph sequence; I believe that this is done by Uniscribe (version 1.0606.5112.0 on my computer), presumably because it has been taught that a consonant only takes one vowel sign, and so two vowel signs must be invalid. With Jomolhari (my favourite Tibetan font), the problem is doubly bad, as the font also adds a dotted circle of its own into the glyph sequence, with the result that 'u' is assisted by two dotted circles. Personally, I dislike the Uniscribe philosophy of trying to restrict script-specific rendering logic to the rendering engine, so that OpenType logic in the font is often ignored or circumvented. I would much prefer it if rendering engines such as Uniscribe did not try to impose their interpretation of correct rendering behaviour on the font, but just let the font do what is specified in its OpenType tables (although I understand that Microsoft prefers to keep the logic in the rendering engine so that rendering is uniform across fonts). I suspect that if Uniscribe didn't insert the spurious dotted circle into the glyph sequence in the first place, then perhaps at least some of my Tibetan fonts would deal correctly with the normalized sequence of multiple vowels. Fonts and rendering software that rely on receiving combining characters in a particular order, and don't work with any canonically equivalent order (of which the canonical order is just a particular one chosen for convenience) are clearly not conformant to Unicode. They should be ruthlessly stamped out. Well, I wouldn't disagree. I have now revised the original post slightly to suggest that in this case the rendering engine (Uniscribe) is probably to blame for inserting a dotted circle into the glyph sequence, and without the mistaken dotted circle the fonts would probably render multiple vowels on a single stack correctly whether in logical order or normalized order. Meitei Mayek can also write PA + I + U for PIPU. Intersting. I also notice in your Meithei Mayek proposal an example with three vowels, pepupā written as p+e+u+ā. What I can't see is the supposed relationship between Meithei and Gupta Brahmi. 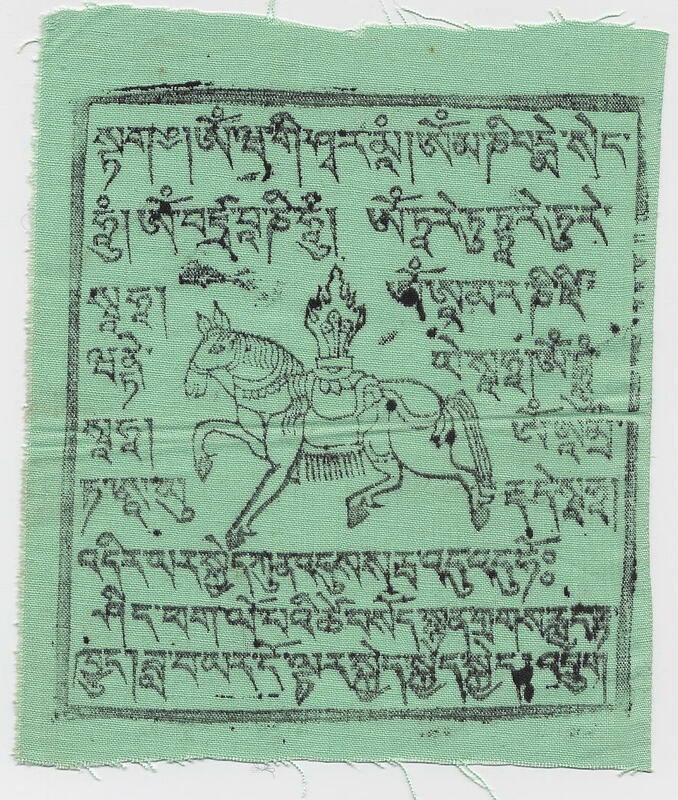 The evolution of most letters from early Brahmic to Tibetan is reasonably clear, and letters such as CA, CHA and JA are pretty much the same in all the early Brahmic scripts, but I can't see any obvious correspondence between Gupta Brahmi and Meithai Mayak.